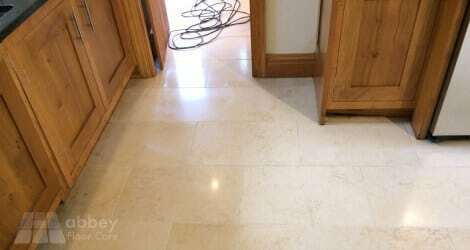 If you are searching for help with limestone floor cleaning and restoration, this Limestone cleaning Melbourne project will show you what is involved in Limestone restoration and the results you will get. 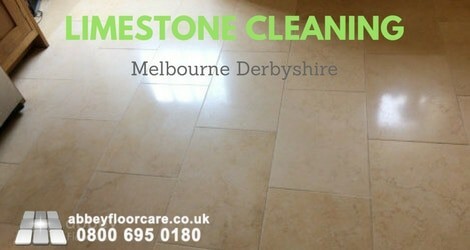 If your limestone floor is looking grubby and in need of restoration, please contact us here. 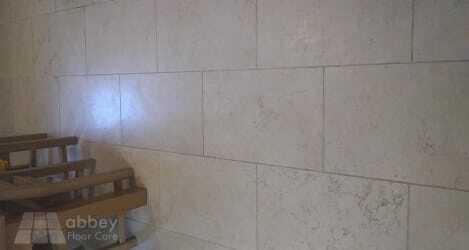 Our client wanted our limestone restoration services for their kitchen, utility and entrance floors. that they struggled to get clean. The limestone filler is a two-pack process with a filler and a chemical hardener. Once the mastic had solidified, we ground the filler smooth with the surface of the stone. All of the cracks were caused by movement in the subfloor, leaving one part of the tile raised. So we used a diamond hand grinder to smooth the tiles. There were some deep scratches made by a door. We used diamond hand grinding tooling to remove the scratches and reduce the thickness of the tile so the door could clear it. We used our rotary scrubbing machine, a high alkali cleaning solution and our proprietary cleaning compound to clean the surface of the tiles and remove the ingrained soil. The process also cleaned the dirty grout lines. There was still some ingrained soil left in tiny pores. So we removed this remaining soil with our pressurised hot water rinse and capture equipment. The machinery blasts hot water at 800psi onto the surface of the tiles and grout. The water acts as a mechanical scrubber, releasing the small pits of soil that the rotary cleaning could not reach. The cleaning process left the floor with a smooth natural matt finish. 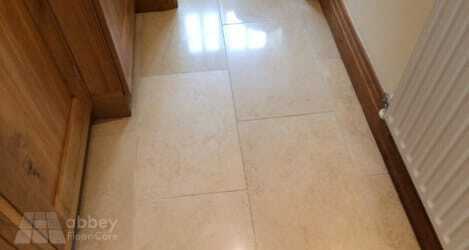 Our client wanted a mid-sheen finish on the limestone floor. So we honed the floor with 200 grit and 400 grit diamond honing equipment. The honing gave the floor a lovely finish. We applied a high-quality impregnating sealer to help protect the floor from spills and stains. The sealer also makes the tiles and grout much easier to clean. The impregnating sealer soaks inside the surface of the stone, and it does not alter the mid sheen finish. 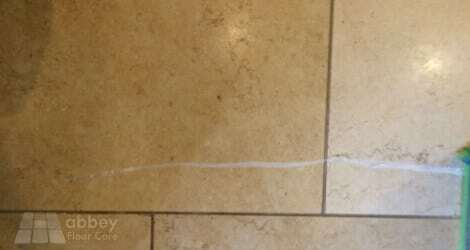 We recommend dry sweeping a Limestone floor once or twice a day, using a dry microfiber flat mop. Then daily damp mopping with a specialist cleaner that contains a small amount of sealer, helping maintain the finish. With correct maintenance, the finish can last four years. 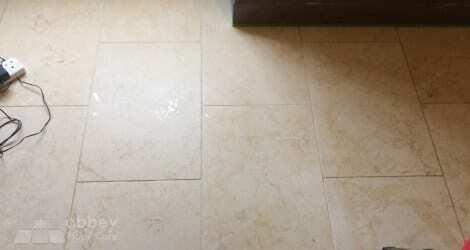 Do You Have A Grubby Limestone Floor? 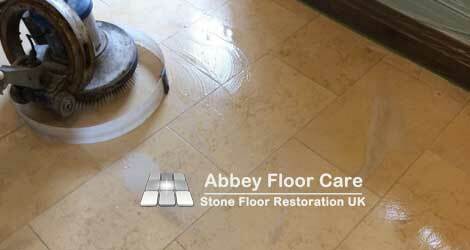 If you need your Limestone looking clean and beautiful again, please contact Abbey Floor care for a free no-obligation quotation for Limestone restoration.